If you haven't paid your $200 admissions deposit, you will be unable to register for courses. Pay your deposit at least 24 hours before registration. You will also need to activate your NetID to access Dal Online. 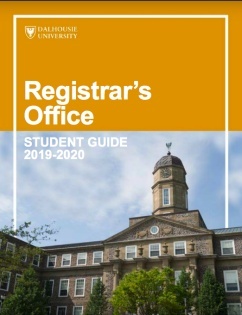 Returning or transfer students will need to check their registration status in DalOnline to see the time that they can register. This is also where you will see if there are any holds, special registration permissions or overrides on your account. Bookmark our Important Dates page for registration dates, tuition payment deadlines, and more. In your first year, you can find the courses you need to take using our course planning worksheets. If you do not see a course planning worksheet for your faculty or program, check the academic calendar, your degree audit, or with your faculty. If you are transferring from another institution or have already begun your studies at Dalhousie, start with your degree audit to see how your previous or current courses count toward your requirements and what you need to take next. Graduate students should visit the Faculty of Graduate Studies registration page. The academic timetable lists courses offered in a particular term. You will use it to find courses, create your schedule, and determine where your courses are being held and who is teaching them. Here is a quick guide to how to read the academic timetable. We offer a Register on Track program for new students to help set you up for success in your first year at Dalhousie. Attend one of our Register on Track events or make an appointment with an advisor on campus for academic support and advice. Here's where to go for advising.